I’m not ashamed: I like Batman. I’ve been a fan of Batman since the ’60s when I started watching the live-action series on television and letting Adam West, Burt Ward, and all the villainous characters enter into my world as a five-year-old. Batman always intrigued as a super hero who relied on his mind, physical capabilities and technological prowess to defeat The Joker, The Riddler, The Penguin and other bad boys of the era. The Batman movies have always captured my attention, again starting back in the ’70s when West and Ward starred in a feature length, schmaltzy take off of their highly successful, but short-lived TV series. 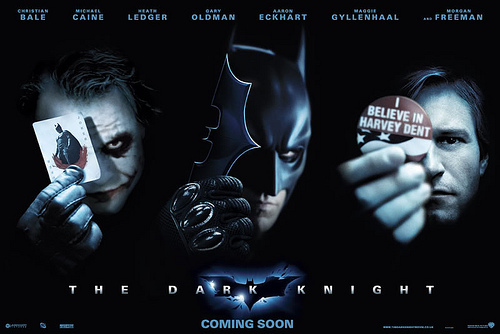 But from the first real Batman movie in 1989 to the most recent Christian Bale feature films, I’ve been hooked. The premise of each film makes me shudder. The music and high def productions of a mere trailer for the latest offering, “The Dark Knight,” (which you can see here) gives me goose bumps. The Dark Knight will, of course, be dedicated to actor Heath Ledger, who for unknown reasons accidentally overdosed on sleeping pills and pain medications last January. Ledger was nominated for an Academy Award when he starred in “Brokeback Mountain.” The critics are saying his role as the Joker in the latest installment of Batman movies surpasses all villain roles ever played on the silver screen. Here’s a great review of Ledger’s portrayal from the Canadian Press. On July 18, when “The Dark Knight,” is released to the masses, I’ll be in line ready and eager to pay my $9 to see the latest Batman movie; to discover just how Batman, my super hero of all comic book heroes, manages to dispose of the Joker and save Gotham from utter destruction once again. Hmmm. I was a kid in the late 1960s through 1983 when I celebrated my 18th birthday. Everything is better. That’s progress thanks to innovation. Still, if I could name just one thing that is far and above better now than it was when I was growing up, I’d have to put how we access music at the top of my list. Back in the day, when I wanted to purchase music, I headed down to one of three or four record stores in toney Spencer, Iowa. It was usually either the “head shop” store that smelled thickly of incense and was poorly lit, or the music store that not only sold records but instruments, sheet music, and metronomes. There I would let my fingers do the walking, flipping through the hundreds of vinyl albums in their well-designed album jackets, reading the liner notes and studying the photography. I relied on the clerks of these stores to tell me if, beyond the newly released single that was getting radio airplay, the album was worthy my $8 to $10. Today, iTunes and Napster have altered how we access music. While I still purchase the occasional CD, I typically make my music purchase by the record or single on iTunes, download it to my computer and burn it to a CD that I can play in the car. In some cases, I can just plug in the iPod to the car’s audio system, simplifying music even further and making the CD obsolete. I’m not even that technologically savvy, so I’m sure there are other ways to make the process even easier. But the thing is, obtaining and listening to my favorite music is vastly better than it was back in the day and for that, I’m grateful. Now it’s your turn. Name something in your life that is better today than it was when you were a kid. Share your inputs here. Pictures tell it all. 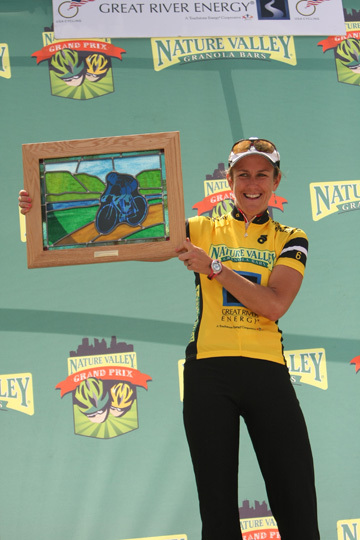 The 2008 Nature Valley Grand Prix comes to a close with a fantastic Stage 6 race – the Stillwater Criterium, on June 15, 2008. Just time for a quick post and photo on Stage 2 of the Nature Valley Grand Prix. The weather turned for the better on Day Two, held on the country roads in and around Cannon Falls, Minn. Riders struck out on a 66-mile road course along rolling hills and next to corn and soybean crops now greening the farm fields of eastern Minnesota. The last mile into town included a nasty gravel stretch followed by a poorly kept asphalt, pot-hole-filled-road that gave riders plenty of teeth rattling and wheel jarring. In the end, the men’s race winner, was Kirk O’Bee and the women’s field was won by Tina Pic. In a nutshell, the weather trashed Stage One of this much anticipated criterium held in St. Paul, Minn., for the second year in a row. 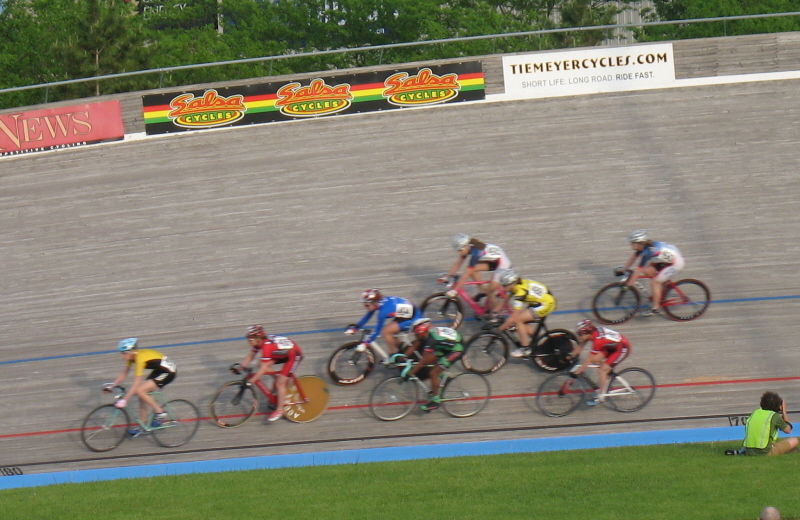 The women got in 30 of 40 laps and Olympian Kristin Armstrong won the race hands down. The men’s race was called after just 20 of 45 laps and officials “neutralized” the field, meaning that the men’s stage was essentially a washout. As were the streets of St. Paul following near-steady rainfall all afternoon and early evening. If you’ve ever seen short-track speed skating during the Winter Olympics, then you have some idea of what short-track bike racing might be like…only much faster. During the time trials for men and women, 41-time Italian national champion, Roberto Chiappa cruised a lap at 41-miles-per-hour. Most men could only come within four or five digits of that top speed. The women averaged around 33 mph. Very impressive, but the dominant force was in the house on Saturday night. 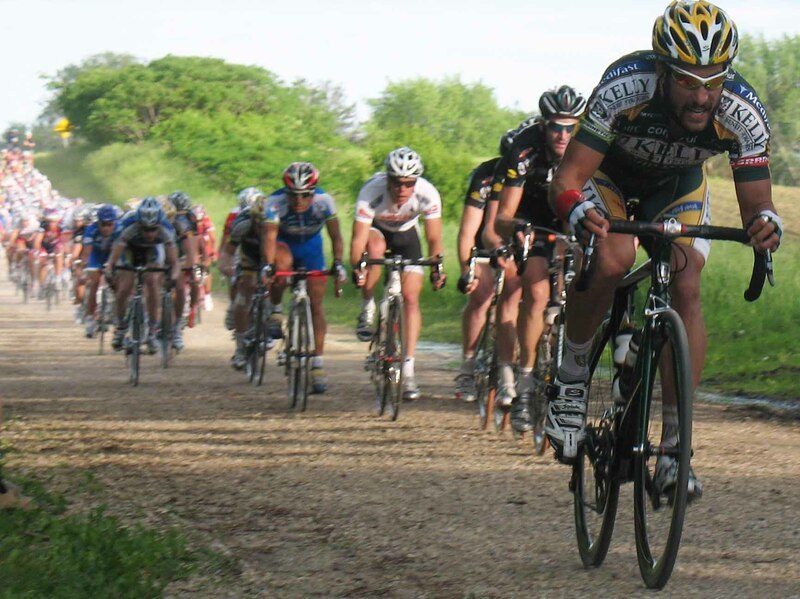 The MN Fixed Gear Classic, the prelude to the Great River Energy Bicycle Festival featuring the Nature Valley Grand Prix, winds up today. 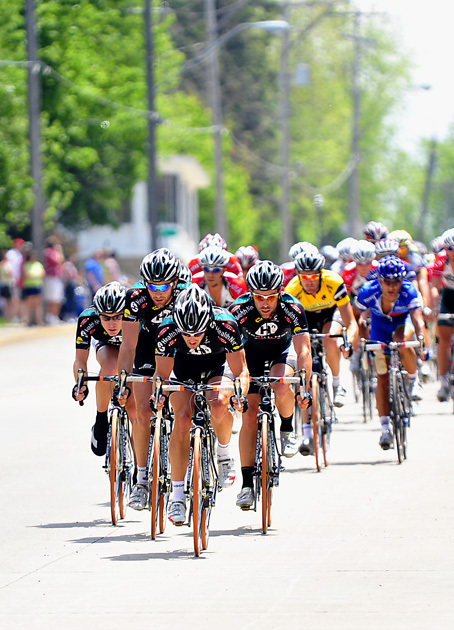 Get ready for the pro stage race which starts June 11. For the next 10 days, my time is going to be consumed with the Great River Energy Bicycle Festival featuring the Nature Valley Grand Prix. 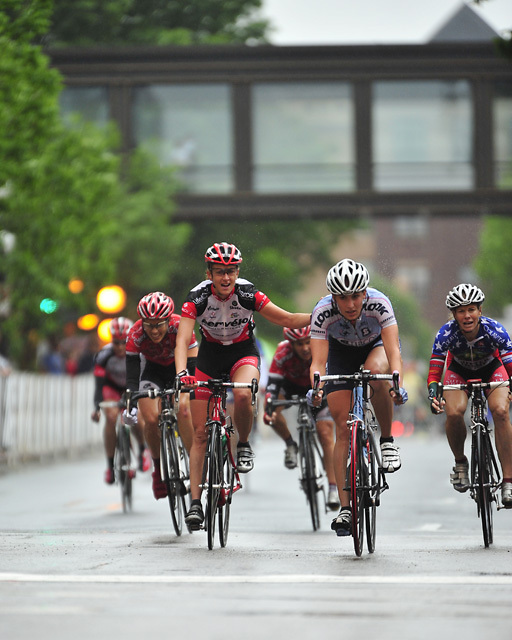 Pro bike racing only comes to Minnesota once a year, so if you’re in the area, come and check it out June 11-15. That’s 53 seconds of action from a five day, six-stage race in which 140 men and 145 men are scheduled to participate in this year. So stay tuned for updates – or perhaps a summary depending on my available time during the next week and a half. Thrills and spills. Men and women in lycra going on bikes at 40 miles per hour. How could summer in Minnesota get any better?